In Episode 398 of the Iron City Rocks Podcast we welcome Brian Forsythe of KIX. KIX recently released Reblown Fuse 30 which is a remix and remastering of their seminal album Blow My Fuse released 30 years prior to the day. Brian discusses with us how the release came together, some memories of recording the album and talks about performing the entire album on tour to celebrate the release. 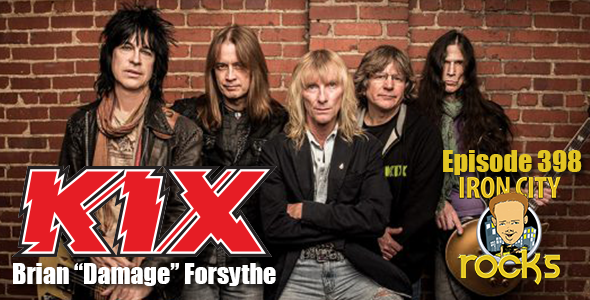 KIX will be at Jergel’s Rhythm Grill in Warendale, PA on December 15th.